7pm, Saturday 12 May 2018. Free. Humza A. Mian aka Manghoe Lassi is a queer Canadian-Pakistani who currently resides in the GTA. He is a Registered Veterinary Technician who works in the downtown core, and a drag queen who has made a big splash on social media over the last year. 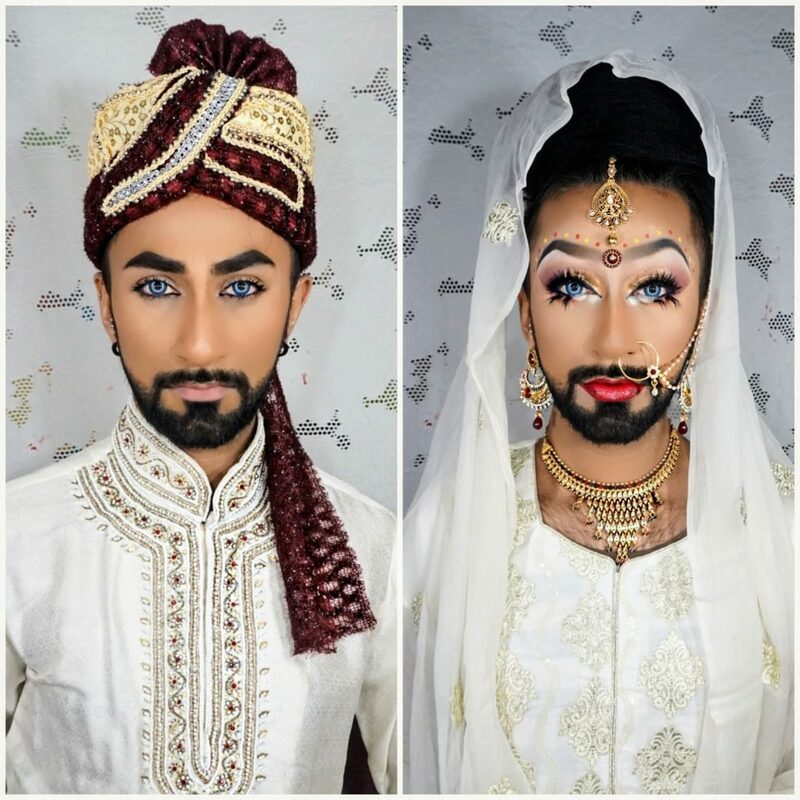 The focus of his drag is to bring awareness to the existence of queer Desi folk and breaking the chains of toxic masculinity that hold so many queer Desi’s back from expressing themselves. With the help of brands run primarily by PoC, Humza has branched into the world of commercial makeup artistry and is currently focusing on representing brands that encourage diversity and inclusion. His most current drag looks can be seen on his Instagram page (@_humzer) and are heavily influenced by his cultural background. With gratitude to QTPOC Winnipeg and Like That for bringing Humza A. Mian to Winnipeg and making this talk possible. QTPOC strives to create safer spaces where Queer and Trans People Of Colour feel represented, respected and inspired. What started in 2014 with the intention of being an annual Pride dance party with “Colour Me Queer”, has evolved into much more. Dance parties, panel discussions, art based events, “QPOC Talks” at local high schools, workshops, DJ sponsorships for QTPOC, and provding support for local LGBTTQ* refugees, we hope to continue to be a positive contributor to the LGBTTQ* community. Like That is a program which provides a space where people exploring gender and/or sexual identity can gather at Sunshine House for fun, skills building and recreation. Like That is designed with the hope that people who might not have a place to explore identity issues might come to see the program’s space and the time as *theirs*, and through their participation, transform Like That into a dynamic resource where people can grow.